Real Compass Vs Digital Compass: Will Your Phone’s Compass Give You Accurate Compass Readings For Feng Shui Work? One vital part of practising feng shui is learning to use a good compass and developing the skill of taking directions accurately. All compass formulas require taking compass directions, and accurate measurements of orientations make a big difference in getting your feng shui right. 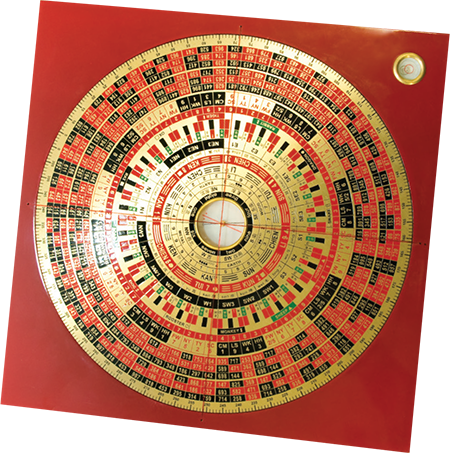 In fact, when you go deeper into some of the more advanced feng shui formulas, you might want to get yourself a Feng Shui lopan, one that comes with a superior compass needle that can show you directions to within 3 degrees of accuracy. We strongly recommend investing in a high-quality compass that you can hold in your hand and turn the dial! This might seem obvious, but these days, many of the smart phones offered as mobile units come equipped with digital compasses and many people take directions with digital compasses built into their phones. 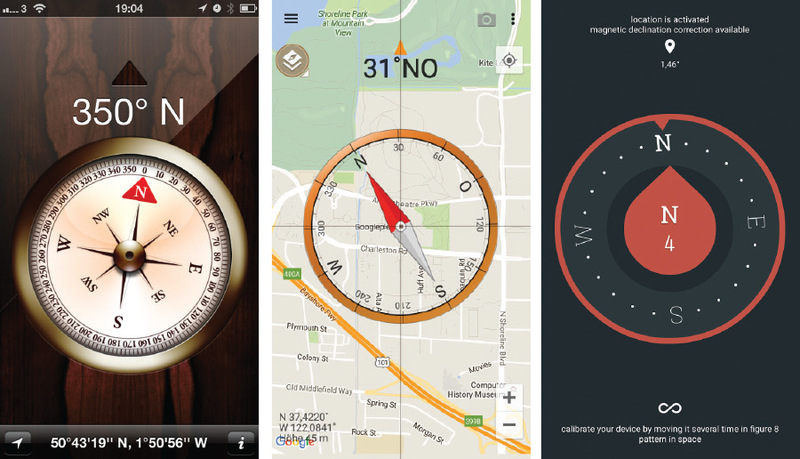 iPhones come pre-loaded with a compass app; Samsung or Android users can download a variety of compass applications from the Google App Store. I have used apps on both iPhone and Samsung and I can tell you that they are not always accurate and cannot be relied on if you want to undertake serious feng shui work. When you have to determine the correct feng shui chart for the house being investigated or when you have to check if a main door is lucky for you, it really is vital to get the directions right. Compass apps usually give a numerical “degree” reading, and so many people think that because of this, it is more accurate. But if you have an understanding of how these digital compasses derive a reading, you will see that compass apps just do not work the same way a real handheld compass does. A handheld compass is essentially a marked plate with a very lightweight magnetic needle suspended on a tiny pin. This lightweight magnet automatically aligns itself to the Earth’s magnetic field; so when you hold a compass in your hand, this mechanical needle will twirl into position to match the direction of Earth’s magnetic field. Anyone who has taken Physics in secondary school would have done this simple experiment in class! Compass applications in your phone use a different method to work out a directional reading. Because of all the micro metals and magnetic components already inside the phone, your phone cannot rely on a suspended mechanical magnet to get a reading. Instead, almost all smartphones are now equipped with three digital sensors that measure different types of information: a magnetometer (to detect the Earth’s magnetic field), an accelerator (to measure velocity and movement changes) and a gyroscope (that measures position against gravity). All three sensors gather different data that helps the phone determine whether you are standing up or lying down, and how the phone is tilted when you are holding it (upright or horizontal, etc) and so forth. All the little bits of data collected from these sensors are then fed into an algorithm that mathematically calculates a final compass reading. All this sounds very high-tech, but the margin of error increases the more high-tech it becomes. These sensors provide raw measures of data, and there are variances in the quality of the sensors because different smartphone manufacturers use different suppliers. Usually, it is the compass application itself or some kind of internal software that does the calculation using the data received from these sensors, so this too can vary depending on which compass app you are using! Remember that these sensors were built into smartphones for the purpose of determining where you are in the world when you use apps like Google Maps, Waze or Uber. But not for feng shui work. We have performed our own tests and compared readings from our real compass vs several compass applications, as well as readings from compass apps in different phones! The variance can be as much as 10 to 15 degrees in some circumstances. Furthermore, for some reason, we’ve found that the reading you get when you are inside a building versus outdoors can vary in accuracy quite significantly. You can Google what I’m saying and you will find that other people have also done similar tests, and determined that the variance is significant enough to discount readings from a compass app, if you are trying to perform magnetic calibration activities that require accuracy. Having said all this, I have found the compass app in the iPhone to be useful in getting a fairly general idea of facing directions (when outdoors) if calibrated correctly. Your app will give you instructions on how to “calibrate” your compass… usually by waving your phone in the figure 8 for a few seconds. Make sure you do this if you’re planning to take an ‘indicative’ direction. 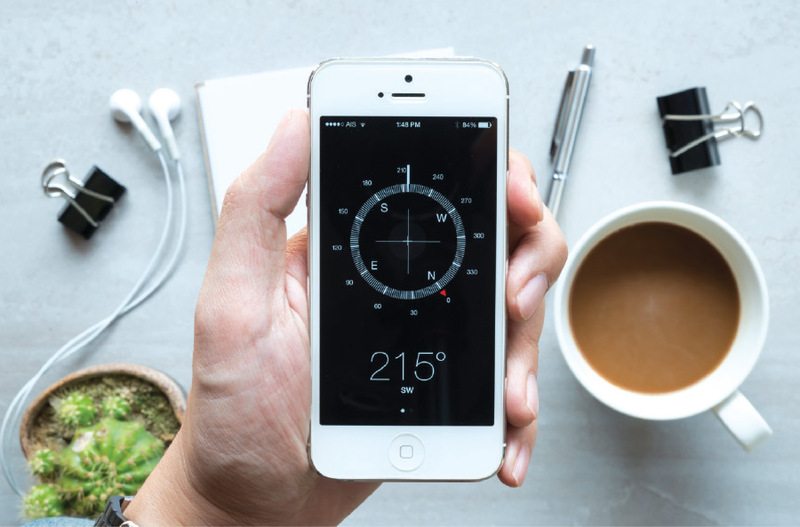 Your phone compass app also comes in handy for the odd occasions when you need to determine your facing direction in a business meeting or coffee catch-up. But if you are checking out a property to purchase or installing a new main door for your home, I would not base it on directions taken from a phone! For this type of serious feng shui work, which can have far-reaching consequences on your investigation, it is advisable to get a real compass! Some of you may have used “feng shui apps” downloaded from the App Store. These do fancy things like letting you superimpose a photo of your floor plan with compass directions obtained from the phone. While this can be helpful for those who struggle to divide up the sectors on their floor plan for the placement of cures and enhancers, do take into account what we have written above about these digital directions. 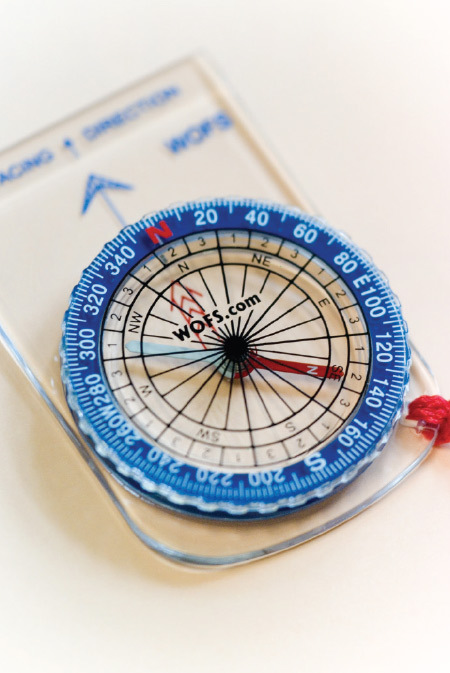 When using feng shui applications, check that the directions match readings from a real compass. Otherwise, your placement of cures and enhancers will simply not be correct. Remember that all feng shui apps on your phone use the same method of deriving compass readings from those sensors I mentioned earlier. For placement of cures as part of your TIME and SPACE dimension of feng shui, it is definitely advisable to use a proper compass. 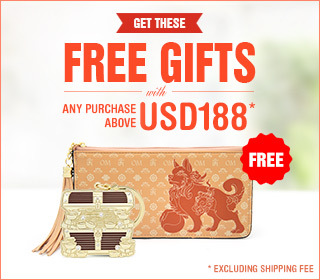 Definitely do not rely on digital compasses for detailed feng shui formula applications. For best results, get a feng shui lopan that is manufactured by a reputable manufacturer. 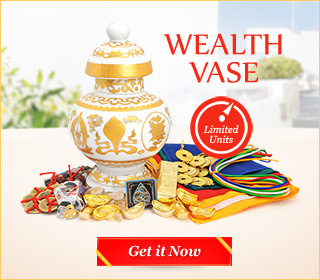 Serious feng shui practitioners are sure to find this a worthwhile investment.